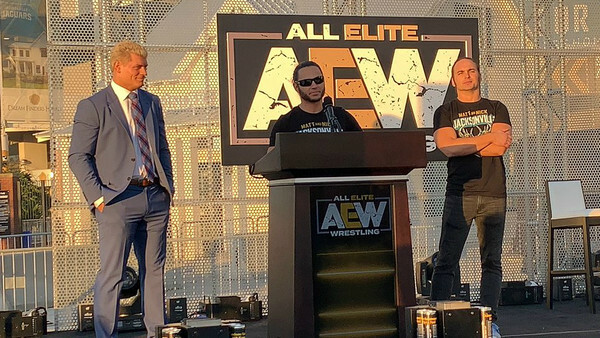 Between the AEW rally, the signing of major stars like Chris Jericho, the possible capture of Kenny Omega, Double Or Nothing on 25 May and the significant financial backing afforded by the Khan family, everything looks rosy in All Elite's garden. That's remarkable considering the promotion hasn't even run a show yet. Though they've barely got started on their bold vision to be a worthwhile alternative to the long-established status quo in WWE, Cody did reveal some of AEW's battle strategy in a recent interview with ESPN. According to him, All Elite will learn from his father Dusty's work as booker in Jim Crockett Promotions and as Executive Producer in WCW. As smart as it is for the company to analyse everything Rhodes did well, Cody claims they'll also look at his mistakes. That's doubly smart, and yet AEW need not dip too far into the history books for guidance.